Over many decades there were numerous attempts to isolate gonad-stimulating factors (GSF) in crustaceans. 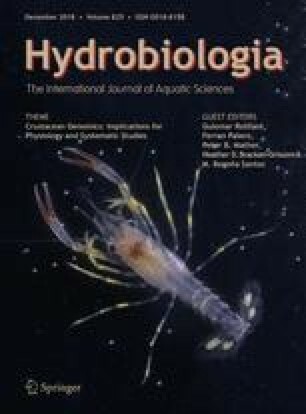 Before omic technologies, the main neuroendocrine factors identified as ovarian development regulators in crustaceans were inhibitory in nature, belonging to the CHH family of neuropeptides produced in the eyestalk. Eyestalk ablation thus leads to ovarian development and this technique is still used in shrimp farms to induce maturation although some biological issues arise. In this manuscript, we review the current knowledge on potential GSF with emphasis on several key candidates and discuss how novel sequencing technologies might aid in better understanding the nature of the ovarian development in crustaceans. However, the gap between the rapid pace at which sequence databases are produced and mined and the experimental work that lags behind do not yet allow us to know the nature of the GSF in crustaceans. Three possible reasons are suggested: (1) crustaceans represent a very large and diverse group, then different species could have GSF of different compounds; (2) it is possible that crustaceans employ multiple hormonal factors to control vitellogenesis; (3) crustaceans might not need a GSF. Reproduction is only negatively regulated by CHH family peptides. The online version of this article ( https://doi.org/10.1007/s10750-017-3497-4) contains supplementary material, which is available to authorized users. The current study was supported by a Marie Curie International Research Staff Exchange Scheme Fellowship within the 7th European Community Framework Programme (612296-DeNuGReC) and by the Australian Research Council Discovery Project (DP160103320).